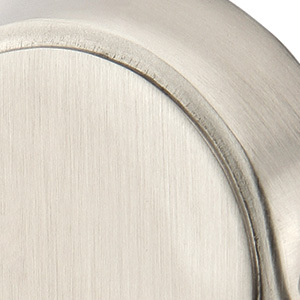 Emtek Single cylinder deadbolts have a thumb turn on the inside and keyed cylinder on the outside. 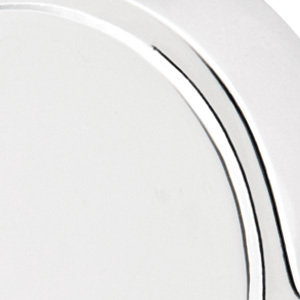 This is the most common type of deadbolt as the keyed exterior provides security, but the thumbturn interior provides the safety and easy exit in case of an emergency. 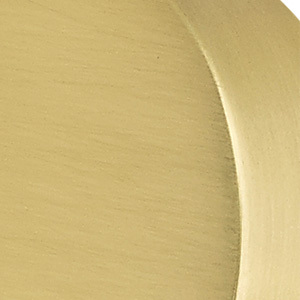 - Solid brass cylinder, housing collar and rosette. 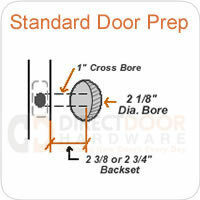 - Heavy guage steel understrike and brass trim strike shipped with every deadbolt. 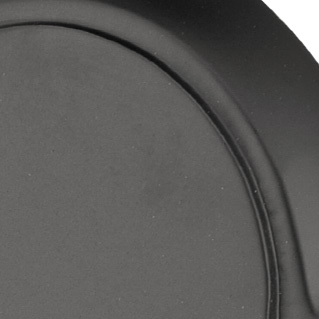 - Backsets are non-adjustable. Please specify backset when ordering. - Shipped with square corner strike and mortise plates. 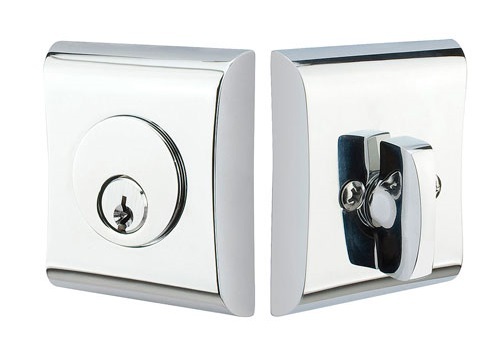 Rounded corner plates or drive in latches available upon request.